Another cool addition to the Shining Star collection. 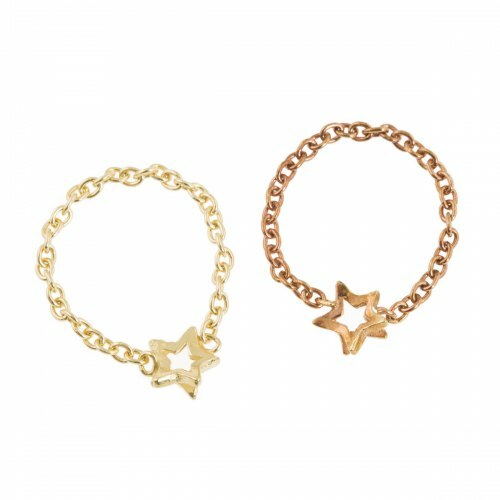 These rings are made from sterling silver, the mini star sits neatly between the chain, with a gentle flick of the star makes it unique. Can be worn on the "pinky or "browny". Available in sterling silver rose, yellow gold vermeil and black rhodium plate.